Designed and crafted in collaboration with renowned artisan of custom straight razors, Max Sprecher. 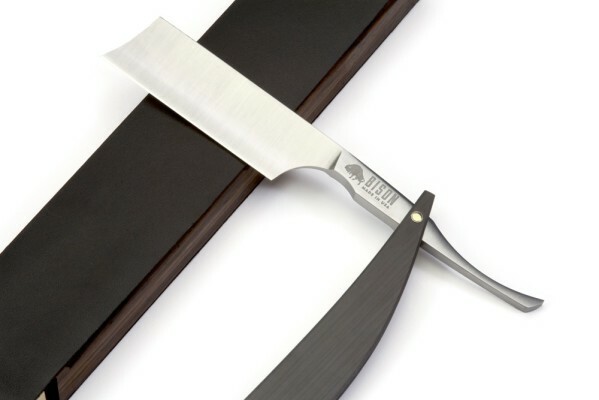 We have created this masterpiece straight razor to be a special heirloom for your consideration. This signature razor features a full-sized 8/8" 1/4 hollow ground blade intended to last several lifetimes. The blade is forged from 01 carbon steel which has a Rockwell hardness of 63. This gives the blade a hardness that is favorable for honing a sharp and long-lasting cutting edge. The scales (handle) of the razor are constructed of ultra high density carbon fiber uni plate. They will never rot or warp over time. Uni plate is an uncommon form of carbon fiber and has a lustrous appearance reminiscent of wood grain. 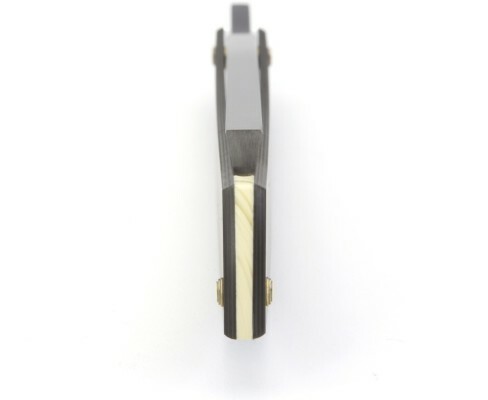 To compliment this design, the wedge of the razor is made out of a banded faux Ivory recon stone. The razor has a mass of 75 grams and the density of the carbon fiber scales provides a suitable counter-balance to the full-sized blade. While quite hefty, the razor is well balanced and comfortable to hold in various shaving grips. Included with the razor is a sleeve made with Horween® Chromexcel® leather. The sleeve is made in our Jet Top Stitch style to compliment the contrasting solid brass pins on the razor.